On March 1, 2018, the New York City Public Schools Athletic League (PSAL) will commence its 11th year of sponsoring and administering cricket in the New York City Department of Education run high schools. This cricket program is presently open to schools in the Bronx, Manhattan, Queens, and Brooklyn; schools in Staten Island have yet to be a part of the program. I am hoping that the administrators and the schools in Staten Island will soon be able to iron out whatever difficulties exist, and are a hindrance to them taking part in the PSAL Varsity co-ed cricket tournament. Like I have said in previous articles, the PSAL program has contributed immensely to the standard of cricket in the New York area. 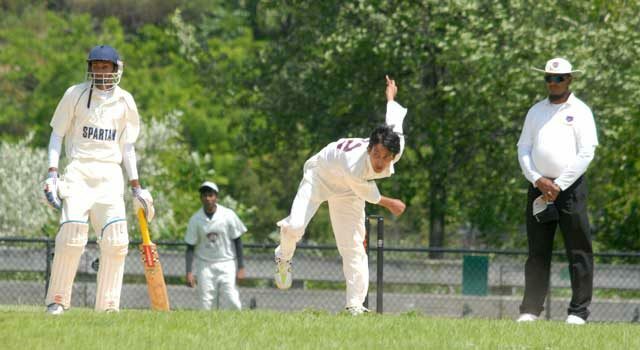 A large number of graduates from PSAL cricket are playing in senior cricket leagues in the five boroughs of the city, in Connecticut, and New Jersey. I personally know of at least two players who travel to Washington, D.C. on weekends to play in the various leagues there. Some travel to play in semi-professional tournaments around the USA. Numerous former PSAL players have gone on to represent the USA in international cricket tournaments in various parts of the world. So I feel that PSAL is doing a tremendous, and successful job growing competitive cricketers. But everything around us can always “benefit with improvement.” So too can PSAL cricket benefit with some improvements. Administrators need to reduce the number of games per school per season. Washed out games, as those rained out, for instance, need to be treated as “gone, played, and done with” etc. But, the folks at PSAL insist on rescheduling these games. This presents a hardship for students and their ability to devote enough study time to their schoolwork. Most games are played after dismissal of schools in the afternoons. Games start at 4:00 PM (a few start later). Some are not completed until after 8:00P.M. Considering the lengthy travelling time, most student-players do not get home close to10:00 PM. This definitely interferes with them being able to allocate much quality time to their studies. Some other factors need to be improved in order for the quality of cricket to improve. The quality of the umpires, and their umpiring skills definitely will contribute to an improvement in the game within the program. An Umpire Coordinator schedules the umpires for PSAL games. Supposedly, and I say supposedly, the umpires are trained officials attached to the United States of America Cricket Umpires Association (USACUA). I personally know a few of the officials. They are knowledgeable and dedicated individuals who stand in games with pride, and great efficiency. Each year they attend available umpiring seminars to hone their skills. Sadly, there are some folks, imposters, who “pose” as umpires. I have no doubt that a few of them may not have even taken “some classes,” and are not on the roster of the USACUA. Beyond attending a couple of these limited “learning sessions,” they do nothing to sharpen their skills. Over the ten-year period of the PSAL cricket program, these sub-standard umpires have made some atrocious decisions. On numerous occasions some “weird” interpretations of the rules are applied. In some of these decisions, the rules of the game were blatantly ignored. I can go on and on, and describe several “boo-boos” by some irresponsible umpires, but I trust that I have made my point, on the need to get well-trained umpires. To begin with, the administrators at PSAL need to work closely with officials of the USACUA. I have spoken to the newly elected president of the USACUA Mr. Danny Khan. He agreed with my premise that in order to get qualified umpires for PSAL games the sponsors of the tournament must work hand in hand with the folks at the umpiring association. What can be accomplished by the PSAL working closely with the USACUA? For beginners, PSAL would know the names of the umpires who are registered and/or trained by the association. Right now I know of two gentlemen who stand in PSAL cricket games and who have not completed “enough studies,” to at least, give them fair knowledge of umpiring, and who are not members of USACUA. So I strongly feel that the PSAL cricket administrators should get together with the USACUA and together work to improve the quality (of some) of the present questionable umpires. This can only improve the game. There is still enough time left prior to the start of the actual games (in the second week of April) for PSAL and USACUA to get together. I have sent feelers to PSAL and the USACUA. I am yet to hear from the folks at PSAL. 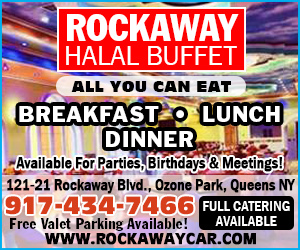 Mr. Danny Khan of USACUA has expressed his willingness to meet with the folks at PSAL. For the sake of good cricket, I hope that meeting does take place.